You Are a Badass at Making Money (2017) offers a fresh and exciting perspective on what it takes to bring home the big bucks. 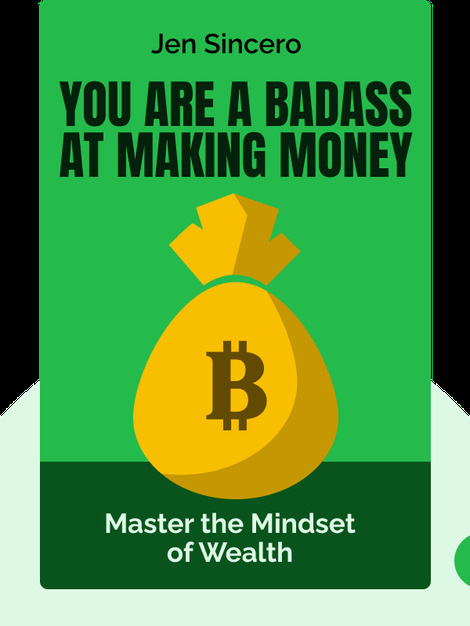 Yes, you too can be a money-making maestro once you improve your mind-set and understand the energy of money. So stop making excuses and fooling yourself that only evil people are rich. Unlock your inner badass and open the door to success! 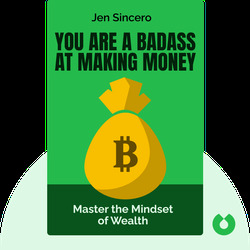 Jen Sincero is a success coach and sought-after motivational speaker who loves to improve lives and spread positive vibes. She is also a New York Times bestselling author whose books include The Straight Girl’s Guide to Sleeping with Chicks, Don’t Sleep With Your Drummer and You Are a Badass.